Last night Tokelo Rantie scored the fifth goal as Malmo annihilated Hibernian of Scotland (7-0) to advance to the next stage of the Europa League. As a result, Malmo now will face Swansea for a place in the group stages. 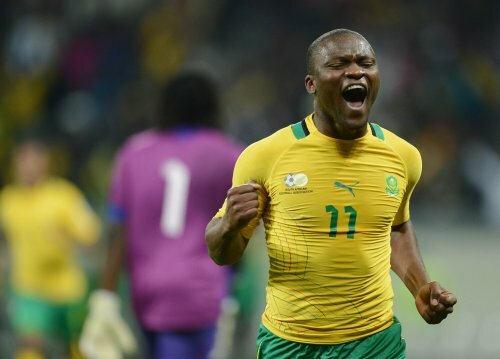 Our friends at PUMA chatted to the South African hit-man about all things football! PUMA: You were signed on loan by Malmo in August 2012, and so impressed the club that they offered you a 4-year contract on April 2013 to make you a permanent player. Will you reward that belief but staying with Malmo for the duration of that contract? Tokelo: Signing for Malmo was the best thing to happen to me. I will reward the faith they have in me by playing my best football, however I can’t say I will stay or not for the duration of my contract because in football anything is possible. PUMA: Malmo is a great club and were formerly coached by current England manager Roy Hodgson who won five consecutive league titles. It is also the club where superstar striker Zlatan Ibrahimovic started his professional career. So the club is obviously a great spring board to the big time – do you feel it is the right club for you to build your profile in Europe? Tokelo: I absolutely feel Malmo is the best team for me to start my European career because this team attracts lot of scouts from different countries. They have sold lot of players to bigger leagues and I believe if I keep on working hard then the sky is the limit. PUMA: Where would you like to play in future – France, England, Spain, Italy, Turkey? Tokelo: I don’t really have a preference, but if I move from Malmo it will be to a country and a club where my talent is appreciated and where I will be exposed to great things. PUMA: What are your top 5 dream clubs? PUMA: Malmo are currently topping the Swedish league after 16 matches – you obviously target 1st which brings a place in the Champions League qualifying rounds, while 2nd and 3rd enter Europa League. Is that enough reason to stay in Sweden as playing in these tournaments is challenging and good for your profile? Tokelo: The team is doing very well at the moment; it’s a very young dedicated squad and everyone is willing to learn and help one another. That is why I want to stay and continue enjoying my football in Malmo. I have already tasted Europa League action and it would be nice to play in the Champions League, which raises your profile and value as a player. PUMA: Did you enjoy playing in the Europa League? Tokelo: Yes I enjoyed that very much. Playing in these kinds of tournaments is something I dreamed about as a young boy and getting to experience them on the pitch is one of the best feelings football has brought to my life. PUMA: Which star players did you come up against? Tokelo: I haven’t faced a high prolific player as yet, but if we win our tie against Hibernian in Scotland then we will face Swansea from England and that’s when the stars will be seen (Malmo won the first leg of their Europa League 2nd qualifying round 2-0 at home. Hibernian host the return leg on Thursday 25 July 2013). PUMA: How does the Swedish league differ from South Africa’s PSL? Tokelo: Everything is different – the playing style, the tempo and the physical aspects of the game are at a higher level than in South Africa. It’s a very good league here in Sweden. PUMA: What do you enjoy about life in Sweden? Tokelo: I enjoy everything about life in Sweden – from my social life to my professional life. People treat you well and appreciate your talent. Whether you are a foreigner or not, they treat you with the same respect. 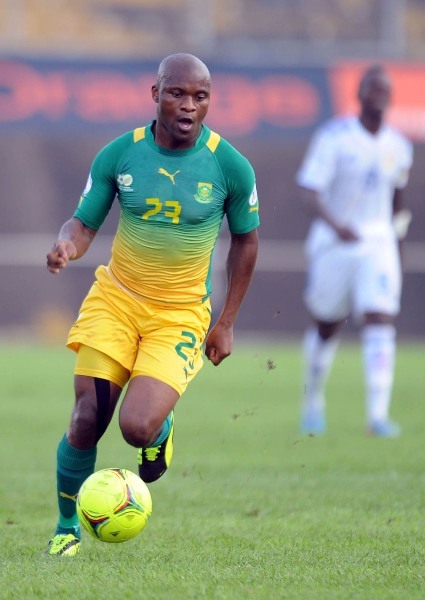 PUMA: You made your Bafana Bafana debut on 9 June 2012 in a World Cup qualifier against Botswana and played in the 2013 Africa Cup of Nations, scoring against Mali – what are your long term goals with the national team? Tokelo: As we all know it is every footballer’s dream to represent his country and my wish is to contribute to it for a very long time to come. 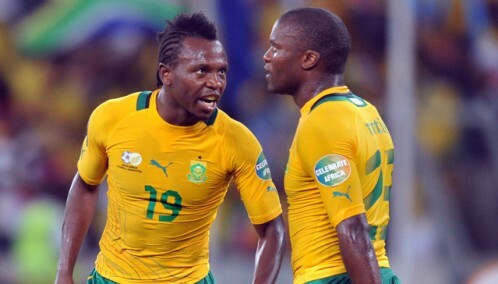 I want to be remembered as a player who did his best for the national team. PUMA: Why is playing for the national team important to you? Tokelo: Because that was my dream when I was playing on the dusty grounds of Tumahole. I also believe it will help build my profile as a player and benefit me someday if I get the chance to play in a top league like in England. PUMA: Playing at the Maracana Stadium in Rio during the World Cup in Brazil – is this the ultimate football dream for any player? Tokelo: I can’t speak for other players, but it is my ultimate football dream. PUMA: How have you benefited from your partnership with PUMA? Tokelo: To be honest I have just started with PUMA, but I am really enjoying playing in the new evoSPEED boots they have give to me. I would love to achieve great things with PUMA and help the brand to expand in football. PUMA: What do you like about your new EvoSPEED boots?